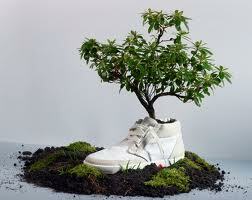 You can have a good environmental footprint. The growing movement toward eco-friendly homes recognizes the need for cleaning products that are safe for the environment. The Soap Exchange has biodegradable, earth-friendly cleaning products-replacing all the harsh chemical cleaners that are quite often found in grocery and department stores. You can use Soap Exchange cleaning products with complete confidence. They are safe for you and your family. There are no harsh chemical ingredients and they have no unpleasant odors. You could be exposing your skin to heaps of nasty chemicals 24/7 because of what is in the detergent you just purchased. All those chemicals get in your clothes. You wear your clothes all day, and your skin absorbs all that nasty mystery stuff. All those chemicals in the washer go directly into the water supply. You have to ask yourself: Is the soap you are purchasing biodegradable or is it entering our water supply and creating damage? Plant based ingredients are best, and the package should tell you if it's biodegradable. My skin is thanking me for switching. And chances are, if you consider making the swap, your skin will be a little brighter, too.